Governor Nathan Deal has approved a financial rescue package that will significantly improve state funding for eight former brick-and-mortar state commission charter schools. The schools were notified Thursday in an email from the state Department of Education. What this means on a practical level is eight brick-and-mortar schools that were uncertain about their 2011-2012 financials can open next month assured of funding levels that they would have received from the now defunct Georgia Charter Schools Commission. The state Supreme Court ruled the commission was unconstitutional in a widely controversial May decision. Those eight brick-and-mortar schools are Atlanta Heights Charter in Atlanta, Charter Conservatory for Liberal Arts and Technology in Statesboro, Cherokee Charter Academy in Canton, Coweta Charter Academy in Senoia, Fulton Leadership Academy in south Fulton County, Heritage Preparatory Academy in Atlanta, Odyssey School in Newnan and Pataula Charter Academy in Edison. 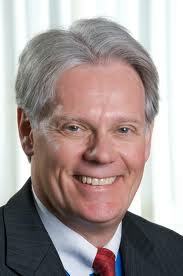 Roberts said it is his understanding the cost to the state is uncertain. 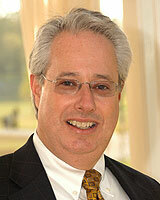 Mark Peevy, former executive director of the defunct charter schools commission, had estimated about $10 million. But since Peevy made that estimate this spring two schools – Heron Bay Academy and Provost Academy – decided they will not open until the 2012 – 2013 school year. Roberts also said he believes this is a one-year fix: “There is no commitment that this will continue beyond this first year.” The decision to improve funding for brick-and-mortar state charter schools does not impact the online learning state charter special schools such as Georgia Cyber Academy and Georgia Connections Academy. Two brick-and mortar schools – Ivy Preparatory Academy in Gwinnett County and the Museum School of Avondale Estates in DeKalb County – accepted local school district charters. Ivy Prep and Museum School funding already includes local share dollars for their students who reside in the counties that granted charters. To illustrate how complicated this has become; Ivy does not have full funding guaranteed for students who reside outside Gwinnett County. That is still unresolved. Ivy draws students from several metro counties, including DeKalb. 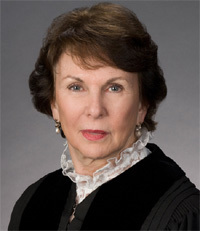 The Georgia Supreme Court has served the future of former state commission charter schools over the net and back into the Legislature’s court. This morning the Court announced that it will not review last month’s decision that overturned the three-year-old state commission. This morning’s announcement comes exactly one week before Atlanta hosts the four-day-long National Charters Schools annual conference. Former President Bill Clinton will keynote the Tuesday session and U.S. Education Secretary Arne Duncan is scheduled on Wednesday. Attorney General Sam Olens petitioned the Supreme Court to reconsider its May 16 decision, but in a single sentence released Monday the Court said, “Upon consideration of the motion for reconsideration in this case, it is ordered that it be hereby denied.” No other reason was given. The motion was considered a long shot because the Court seldom grants reconsideration. Sixteen brick-and-mortar and online learning schools have scrambled to secure new local or state special school charters, along with funding, since the Supreme Court decision four weeks ago today. The Court ruled the state could not grant commission charters to schools that had already had been turned down by local boards of education. Last week the state Board of Education approved special school charters for Odyssey School in Newnan, and for Georgia Cyber Academy which expects to enroll 8,500 online learners this fall. Several schools have applied to districts for temporary local charters. The state board is expected to meet again this month to consider charters for schools that still need them. The next step likely returns this question to the Legislature. Governor Nathan Deal’s office, along with House and Senate education committee members, have begun work to place a constitutional amendment on the November 2012 ballot that would seek permission for the state to authorize and fund charter schools. The General Assembly would most likely consider this question next January. All Georgia charter schools are public schools. The former commission schools expected to enroll 16,000 of the state’s 77,000 total charter schools students when class resumes in August. Get ready. Get set. Go back to (your favorite charter) school. Now that they’ve been thrown a parachute, what’s next for a handful of former state commission charter schools and nearly 16,000 students? The search for that answer leads to other questions: Do you mean sooner or later? And, would Georgia voters be inclined to embrace the idea charter schools might help the state overcome its mediocre education reputation? “I’ve been called a lot of things in life. This is the first time I’ve been called unconstitutional,” Mark Peevy said during his testimony at Friday morning’s Senate education sub-committee hearing. Peevy is executive director of the Georgia Charter Schools Commission, which the state Supreme Court threw out in a decision announced last month. Senate and House legislators, the state Department of Education, commission schools, parent groups and the Georgia Charter Schools Association have worked for three weeks to clear a path that would enable all 16 state commission charter schools to reopen this August. “There is no reason why we can’t take care of this quickly,” state schools superintendent John Barge said Friday. It was his first public event statement since the Supreme Court decision. Here’s what you can expect over the next several weeks. Some brick and mortar commission schools have applied to receive one-year charters from local districts. This recognizes time is short and shuttering these schools is not good for students and it is terrible public relations. Gwinnett, DeKalb and Cherokee county school systems are working closely with commission schools. The state Board of Education will meet this month to vote on granting special school status to other schools that still need charters. That would include the online learning schools. There is a lot of work to be done on finances. Reopening these schools with local charters or as state special schools will require innovative combinations of federal, state, local and potentially private dollars. Georgia cannot use any of this year’s $100 million Race to the Top grant, but it will seek other federal support and the Charter Schools Association will explore private foundation funding. Nobody knows for certain how much Georgia’s education image was tarnished by last month’s Supreme Court decision. Nor is it possible to measure how the decision will impact the charter schools movement. The Georgia Charter Schools Association estimates charter schools of all kinds will enroll 77,000 students statewide this fall, barely 2.5% of public school students. The quick fix that would enable commission schools to reopen this fall is a one-year or perhaps two-year solution at best. The next move belongs to the Legislature which must decide whether it wants to place a proposed constitutional amendment on the November 2012 ballot. Voters could be asked to re-establish the commission concept, or perhaps allow the state to expand the definition of state special schools. There is no guarantee how voters would react. Last November voters rejected a ballot initiative that would have imposed a small annual motor vehicle fee to completely fund a statewide trauma care network. Central and South Georgia voters who would have benefited the most from new trauma centers defeated the initiative. How will voters respond next year when they are asked for permission to impose additional sales taxes to fund long lists of regional transportation projects. These are being called critical to Georgia’s future, but in a state with high unemployment and many more folks underemployed, will voters be inclined to raise their sales taxes? Nobody can say. Georgia Attorney General Sam Olens has asked the state Supreme Court to reconsider its recent decision that declared the state charter schools commission is unconstitutional. “Today we filed a motion for reconsideration in an effort to protect the rights of Georgia students to have a say in their education and be placed in a school that meets their needs,” Olens said. “I hope the Court will accept the arguments presented in our brief and reconsider their decision.” The two-part filing included a motion asking the Court to stay its decision announced May 16. The Court’s 4-3 opinion immediately impacts 16 brick-and-mortar and online learning charter schools that expected to enroll at least 15,000 students when classes resume in August. State legislators have begun work on options to provide a short-term fix this fall. A Senate education sub-committee will be in session on this question next week. All Georgia charter schools are public schools, and most of the state’s 60,000 charter students attend schools that received charters from local school districts. However, 16 other schools received state Charter Schools Commission authorization to open after they were turned down by local districts. This was made possible by a 2008 law that created the commission. Seven school districts filed suit in 2009. They argued the state charter schools commission was unconstitutional because it bypassed local control of education. The plaintiffs also argued state charter commission schools did not fit the definition of “special schools” that the state is permitted to establish for deaf and blind students, and for other purposes like adult education. The plaintiff districts did not argue money before the trial court, where they lost, or before the Supreme Court, where they prevailed one week ago. Tens of millions of federal, state and local dollars are directed to state charter commission schools. Consequently, local school districts lose those dollars when students exercise school choice rights and choose charter schools. Four Supreme Court justices in the majority ruled state charter commission schools are not special schools, according to the definition of special schools in the 1983 amended constitution. The Court also affirmed the local control position advocated by the plaintiff school districts. The motion to reconsider filed by Attorney General Olens also argued Georgia public education has never been exclusively about local control; rather, it is a shared responsibility. The Georgia state public education budget is some $7 billion per year, about 40% of the entire state budget. Charter schools enroll about 4% of the state’s 1.65 million public school students; the number who would attend state commission schools next year is 1% of the entire student population. State lawmakers are considering several ideas that would enable Georgia to regain the position it had begun to earn as a national leader in the school choice and charter schools movements. Short-term options include placing the 16 affected schools directly under the state Board of Education as “special schools” that receive state funds but no local dollars. Another potential idea would enable them to open this fall as private schools. Funding models would change. Long-term, the Legislature is expected to approve a proposed constitutional amendment that would ask voters to give the state the authority to establish public schools. The amendment would appear on the November 2012 general election ballot. But that election is 18 months away, so other protections are needed for the 2011 and 2012 calendar school years. Ivy Prep Academy in Norcross and Cherokee Charter Academy in Canton lost their operating charters on Monday when the Supreme Court struck down the Charter Schools Commission. Some 16,500 students must consider new options and 16 schools face unknown futures. Thursday evening Ivy Prep and Cherokee Charter schools asked local boards of education for new charters. Both schools will have to wait a bit longer as neither board voted on Thursday. Gwinnett turned down a school in theory three years ago but now its five board members must decide whether to grant a local charter or close an existing school and endure the reaction to that decision. Ivy Prep enrolled 450 middle school girls this year. About 60% live in Gwinnett; the next largest student group is from DeKalb County. Ivy plans to start ninth grade this fall. Whereas Ivy Prep is working to save its fourth school year, Cherokee Charter Academy is trying to save its first. The Canton-based brick-and-mortar charter school acquired a building large enough for 1,150 students and this fall it would open with about 950 students in grades K-8. Cherokee Charter Academy applied to the Cherokee public schools board. “It’s a very different (school) board from the one that turned us down and we are very grateful for that,” said parent advocate Lyn Michaels-Carden. “They are very receptive.” Three new school board members were elected last November. The board could vote on Cherokee Charter at its June 16 meeting. Michaels-Carden is former radio personality turned marketing executive who is also Cherokee Charter Academy’s designated liaison between state and local education boards. She fully expected to send her daughter to first grade this fall at Cherokee Charter. Is Charter Schools Commission Case Headed Back to Supreme Court? We should know very soon whether the Georgia Supreme Court will be asked to reconsider its historic charter schools commission decision, even though one source said the likelihood that the Court would reverse itself is “an astronomical possibility,” as in, place really low bets. Thursday could be a pivotal date. Representatives from commission charter schools affected by Monday’s Supreme Court decision have been asked to attend a meeting with Attorney General’s Office and State Board of Education staff. Then in the evening one of the charter commission schools will go before the Gwinnett County Board of Education to request a local charter. The Supreme Court ruled on Monday that the 2008 General Assembly overstepped its bounds with a law that gave a new state commission the power to authorize charter schools, in many instances, after those same schools were denied charters by local boards of education. The Court majority said in 4-3 split decision that it would not allow the state to create K-12 “special schools” that compete with local board of education schools for students and funds. Several sources who are familiar with options being discussed since Monday said a decision to request Supreme Court reconsideration is near the top of the list because the motion must be filed no later than Tuesday, May 31. There would be no new oral arguments and the Supreme Court could issue a confirmation or reversal of its first decision at any time. Speaking on background, sources said strategies are being broken down into short-term and long-term priorities. Short term priorities include making certain that commission school professional staffs are paid through the end of this school year and then examining options that would enable schools to operate next year. There is growing support for a short-term option that would transfer existing and newly authorized charter commission schools to direct supervision by the State Board of Education. This would change their funding models – always a dicey and critical component of any change — but it could prove to become the best option to prevent shutdowns. The downside is another possible legal challenge. Three persons who are familiar with ongoing conversations said federal Race to the Top dollars might be an option to replace local funds that would be lost if the state board assumes control. Estimates vary, but that shift could require $30 million to $50 million. 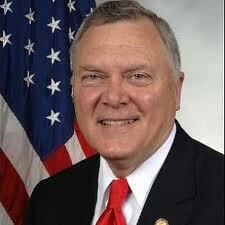 Race to the Top dollars have already been designated for STEM education programs, per Governor Nathan Deal. Another short-term option could create one of the most interesting public relations scenarios. At least two charter commission schools will request charters from local boards of education that originally rejected them. Ivy Prep Academy will ask the Gwinnett Board of Education for a charter on Thursday evening. Ivy received a state commission charter after it was rejected by Gwinnett. Cherokee Charter Academy will do the same in Cherokee County, where it was also initially turned down. Georgia charter schools draw students from an extremely wide geographic footprint. That creates unique funding challenges. For example, Ivy Prep Academy could receive a Gwinnett local charter but local funding associated with that charter would only follow students who are county residents. The Gwinnett board cannot take any action that would ensure Ivy Prep is paid to educate students who live in other counties. That would require some sort of additional financial fix. The problem becomes potentially more extreme when you consider charter commission online learning schools. Georgia Cyber Academy expects to enroll at least 8,500 online students this fall. GCA pupils come from nearly every county in Georgia. The Academy needs a financial model that ensures consistent funding. It cannot piecemeal money county-by-county. Georgia Cyber was originally under state board supervision and that might become its best current option again. Looking toward long-term solutions, sources agreed their best option rests with a constitutional amendment that voters would be asked to approve in November 2012. Amendment language could take many forms but, essentially, it would ask Georgia voters to approve creation of a commission that could authorize state charter schools and designate funding. Perhaps that would end discussions about what is a special school, and what is a special student. The Georgia Supreme Court decision that struck down the state’s charter school commission is a long-awaited opinion that seems likely to throw thousands of students into education limbo and dismantle a growing network of existing and approved charter schools. The Supreme Court ruled 4-3 in favor of the challenge by seven public school systems to a 2008 state law that created the Georgia Charter Schools Commission. The law gave the GCSC the authority to authorize and fund charter schools with state and local dollars. Some schools that received state commission charters were initially turned down by local boards of education. It is now apparent the Supreme Court has been deeply divided since oral arguments last October. Predictions of a quick ruling before year-end vanished. The Court took the highly unusual step in March to announce it would delay its ruling with no date specified. The review lasted seven months. The majority opinion focused on a strict interpretation of “special schools” which the 1983 state Constitution defined as schools established to help students with special needs, for example, blind, deaf and vocational or adult students. The 2008 law sought to expand “special schools” to include charter schools which did not exist when the Constitution was amended 28 years ago. 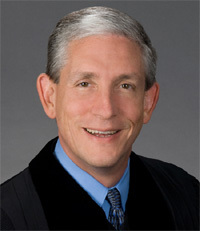 Hunstein was joined in the majority by Justices Robert Benham, P. Harris Hines and Hugh Thompson. Nahmias was joined in the minority by Justices George Carley and Harold D. Melton. All Georgia charters are public schools. The first Georgia charter schools law passed in 1993 and was modified five years later. Under the 1998 law, state or local boards could authorize charter schools. Most charters are brick-and-mortar schools; some are online learning models. Georgia has more than 60,000 students in charter schools. The 2008 law was the first update in ten years and it caused a ruckus. The new legislation enabled petitioners who were turned down by local school boards to appeal to a new state commission. Local school districts lose funds that follow students to state charter schools. This change coincided with the rapid expansion of online learning companies whose products compete with local school districts. The majority opinion said very little about redirection of state and local education dollars, even though that has been hotly debated and was widely considered to be the real reason for the lawsuit filed by Gwinnett, Atlanta, DeKalb and four other school districts. The majority’s 24-page ruling focused almost entirely on historical and current definitions of special schools. Ironically, Georgia public education innovation in the charter schools sector was one reason the state received a $400 million Race to the Top grant from President Barack Obama’s administration. Now the state Supreme Court decision means charter commission schools will lose tens of millions of dollars. They will be forced to find a new lifeline or perhaps cease to exist. Does Supreme Court Charters Case Put Other School Funds At Risk? Did the Georgia Supreme Court delay its long-awaited opinion in the high profile state charter schools commission case because of the potential far-reaching impact on education equalization dollars received by three-fourths of Georgia public school districts? Equalization … like charter schools commission funding … is a unique funding model created by the General Assembly to move state education dollars into classrooms. Georgia has 180 public school systems; 75% receive equalization dollars based on their property tax base. The 25% of school districts with the highest property tax base do not receive extra funds. Most observers expected the Supreme Court to rule this week in a case that would decide the landscape for state-approved charter schools of both brick-and-mortar and virtual varieties. 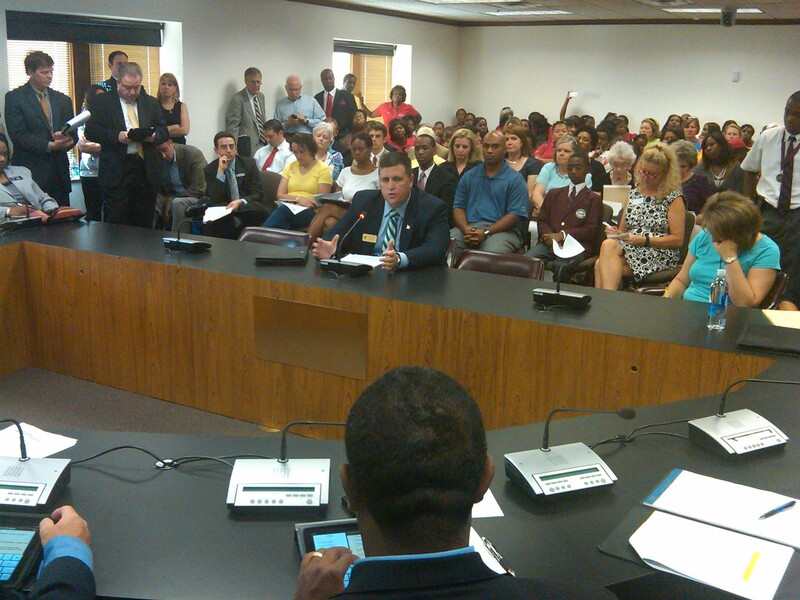 Three years ago the 2008 General Assembly created the Georgia Charter Schools Commission and gave it the power to authorize charter school applications that were rejected by local boards. Legislators also gave the commission authority to transfer dollars from public school districts to state charters. Gwinnett sued and six other districts joined the suit as co-plaintiffs. Last May, Fulton County Superior Court Judge Wendy Shoob ruled the General Assembly was within its constitutional right to create the Charter Schools Commission and its funding model. Wednesday morning the Court sent an electronic mail which said that “for good cause” the case would be “hereby extended until further order” of the Court. A spokesperson said the unusual order gives the Court flexibility to rule at any point, which could mean soon or not soon at all. Attorneys on both sides were caught somewhat flat-footed by the announcement. The “special schools” question is intriguing. A 1983 state constitution amendment defined “special schools” as being for disabled persons. Charter schools did not exist in 1983. A Supreme Court ruling that favors the commission would expand the “special schools” definition. The Supreme Court found itself boxed into a calendar corner. The case was filed in September. The Court is required to decide all cases within two terms, which almost always means the decision is reached within six months. But with the opinion clearly not ready, the Court took the most unusual step to issue an order granting itself more time. 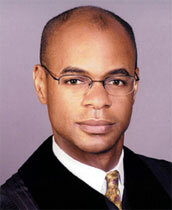 “Had they not done that I believe the lower court order would stand,” said Moore, who represents Gwinnett. “This case is too important to do that so regardless of which way they rule, they are going to provide a rationale for the ruling. It underlines the complexity of the case.” The plaintiffs are Gwinnett, Atlanta, Bulloch, Candler, DeKalb, Griffin-Spalding and Henry. Mark Peevy is executive director of the Georgia Charter Schools Commission. Peevy said the 17 charter schools “don’t have any questions that they didn’t have yesterday. We’re still at the same spot. We certainly believe the Superior Court was right and we are expecting the Supreme Court to uphold that decision.” State charters will enroll up to 16,500 students next fall.